Responding to the public pressure, an Army court on Saturday decided to shift its centre of recording the statements of witnesses in the Pathribal carnage from Nagrota in Jammu to Awantipore in Kashmir valley. The court is holding trial on a chargesheet as the CBI has held a group of the Army officials guilty of killing five civilians in a fake encounter in Anantnag district in March 2000. Even as the civilian witnesses had declined to travel to the headquarters of 16 Corps at Nagrota, the court had continued its initial proceedings in Jammu. It has finally relented to the extent of facilitating the recording of the evidences at headquarters of Victor Force at Awantipore in south Kashmir. “Upholding the principles of justice, in a significant endeavour to facilitate timely conclusion of the case, the officer recording Summary of Evidence has been directed to move to Awantipur for recording the statements of the remaining witnesses,” an Army spokesperson said in a handout. He said that fresh summons had been issued to all the witnesses, including the family members of the five persons killed in the controversial shootout. “Statements of 26 witnesses, including all the Army witnesses and some police as well as government officials, have been recorded so far. However, despite repeated summons issued to the civilian witnesses, they have not come forward to depose before the Army court, which is unduly delaying the judicial process”, said the handout. Recording of statements would commence from March 5. On the night intervening March 20 and 21 in 2000, 35 male members of the Sikh community were massacred outside a Gurudwara at Chittisinghpura in Anantnag district. Four days later, officials of Rashtriya Rifles 7th battalion claimed to have killed “five foreign mercenaries” holding them responsible for the massacre. Soon, the residents of different villages developed suspicions with regard to the Army’s claim. 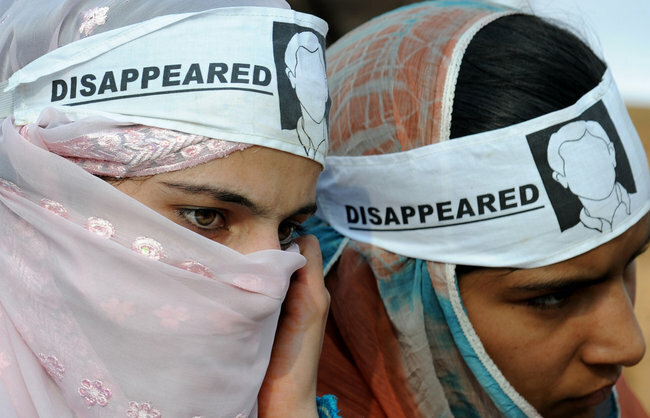 They held demonstrations, asking the authorities to trace out the five civilians, who had been picked up in late night raids by different units of the armed forces. As the residents’ demand grew louder with the death of seven demonstrators in firing by the men of Special Operations Group of Anantnag district police, a special investigation was ordered and all the five bodies were exhumed under magisterial supervision. Fudging of some tissue samples in a Forensic Science laboratory led to a fresh pandemonium. Finally, the investigation was assigned to the CBI. In 2006, CBI completed its investigation and produced challan in a designated court in Srinagar. It found five Army officials responsible for stage-managing a fake encounter and claimed that the five innocent civilians had been killed so as to project them as the militants responsible for the Sikhs’ massacre. Brig. Ajay Saxena, Lt. Col. Brajendra Pratap Singh, Maj. Sourabh Sharma, Maj. Amit Saxena and Subedar Idrees Khan were charged by the CBI with the murder of the five civilians. However, Army put up resistance, claiming that the courts could not hold the trial without proper sanction from the government of India, as the Army in Jammu and Kashmir enjoyed special powers and immunity against such prosecutions. The High Court of Jammu and Kashmir stayed the proceedings in 2007. The CBI pleaded that it was a “cold-blooded murder” of innocent civilians and the armed forces’ special powers and immunity were restricted only to the genuine counter-insurgency operations. The Supreme Court did not agree with the CBI but directed the Army to either hold the trial in its own court or choose the option of a civil court. On September 20, 2012, Lt. Gen. A.S. Nandal, who is also GOC of 16 Corps, started hearing the CBI case after the matter was shifted from the court of Chief Judicial Magistrate Srinagar to the Army court. On January 14, 2013, the General Court Marshal asked the family members of the five deceased persons to depose at Nagrota on January 28 but they refused to travel to Jammu and expressed security concerns. Finally, the Army court decided to record rest of the witnesses’ statements in the Valley. They called their band ‘Pragaash’ — to mean from darkness to light. Kashmir‘s first all-girl rock group is now struggling to find some of that hope. Following threats and criticism on social networking sites, its three Class 10 members have decided to stop live performances in the Valley for some time. Farah Deeba, Aneka Khalid and Noma Nazir started receiving the threats soon after Pragaash’s first live performance, at Srinagar‘s Battle of the Bands — an annual music festival — in December last year. They had been written about following the performance, and their interviews appeared on news channels. Since then, Pragaash had held several live shows in the city. “As a section of the society criticised the girls after their first live performance in the city, we told them to quit the band,” Deeba’s mother said. “We will stay quiet for some time as we were threatened by people on Facebook and on the phone directing us to stop this band, or to face the consequences,” Nazir said. Khalid said they would continue to pursue music though, while giving up live performances. Incidentally, none of these threats has come from any militant organisation. It was in August last year that Deeba, Khalid and Nazir met at a local music institute, Band Inn, and soon joined hands to form Pragaash. While Nazir, 16, is the vocalist and guitarist, 15-year-old Khalid is the bass guitarist and Deeba, also 15, the drummer. After the Battle of the Bands, where they competed against dozens of male bands, the three had said their families supported their unusual vocation. Pragaash had come in third at the contest, and had received invitations to perform in several parts of the country. Among the criticism dumped on the girls on a Facebook page named ‘Kashmir News’ was that they had brought shame upon their society. However, the girls continue to have supporters. There is now another Facebook page — ‘I support Pragaash — Kashmir’s First All-Girls Rock Band’.